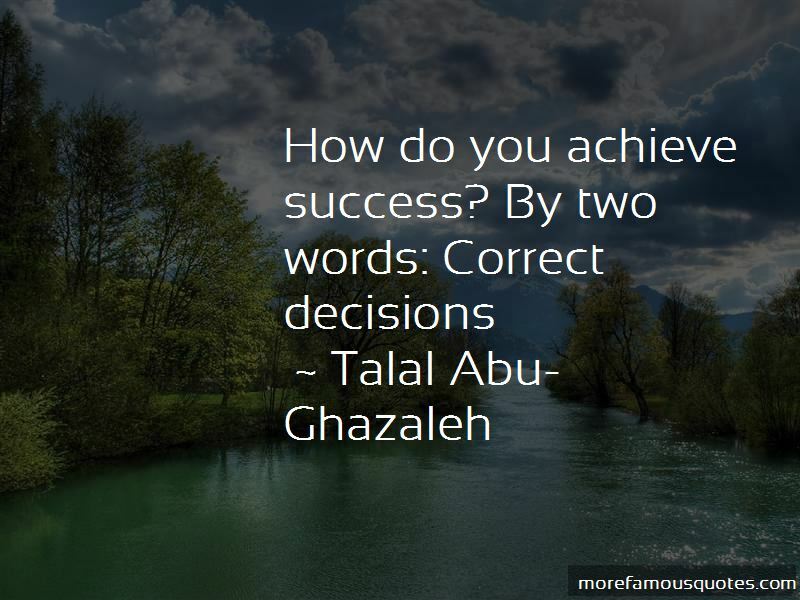 Enjoy the top 21 famous quotes, sayings and quotations by Talal Abu-Ghazaleh. “Despite the immense challenges that we have faced and continue to face, we refuse to indulge in negativity or pessimism. We can never be certain about the future and therefore we must continue to be flexible and adaptable so that we can react quickly to the needs of our clients and our market place. “I wanted to be the exception to the other kids, but in the right way. We have a lot of suffering in our part of the world, but that suffering is, in a way, a blessing. “I believe that I was lucky to have suffered. Some people don't realize that in suffering there is great potential, because if you are deprived for any reason. Making the future and the road to the future wealth lies in the youth of the present and future, and rebuilding the nation's institutions based on knowledgeable scientific foundations that require promising human capacities derived from college graduates. Universities are the makers of men, we are proud of their role and of the efforts of their administrators. Technology is not simply additive; it is more often exponential. An invention usually triggers other inventions. The information revolution will lead us through a knowledge revolution to the wisdom revolution. Human experience throughout the ages has been enhanced through learning, information and communication. The foremost challenge is that of the knowledge revolution. Economic power will depend on creativity and innovation. 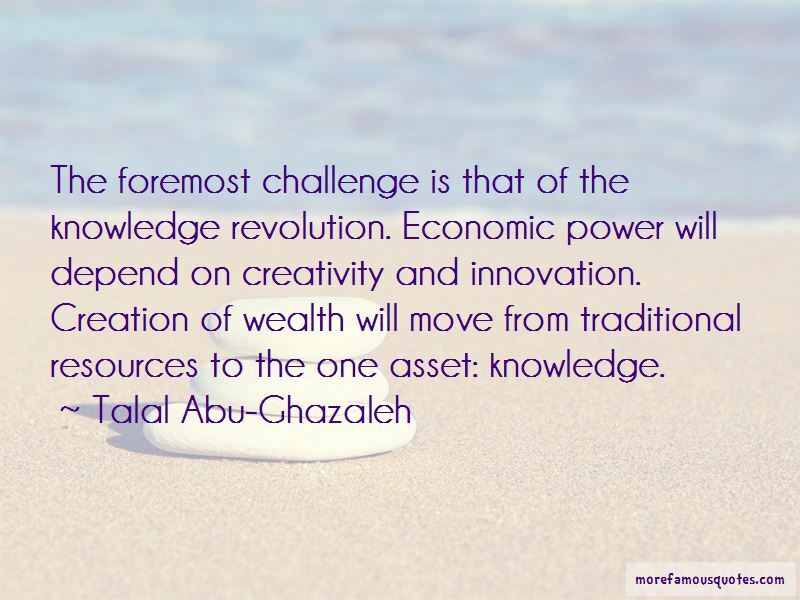 Creation of wealth will move from traditional resources to the one asset: knowledge. The goal of providing basic literacy and education to all the world's people is still the most basic development challenge. With support from institutions like the United Nations as well as the donor community, governments can strengthen their national technological and scientific capacities by devising policies to link up to research networks, encourage technology transfer, and build indigenous capabilities through education and collaborative projects. Moving to the forefront of advanced nations is not a choice but a national duty. This requires, among other things, erecting the best industrial property protection systems despite all challenges, particularly in the transition phase that we must endure. Want to see more pictures of Talal Abu-Ghazaleh quotes? Click on image of Talal Abu-Ghazaleh quotes to view full size.